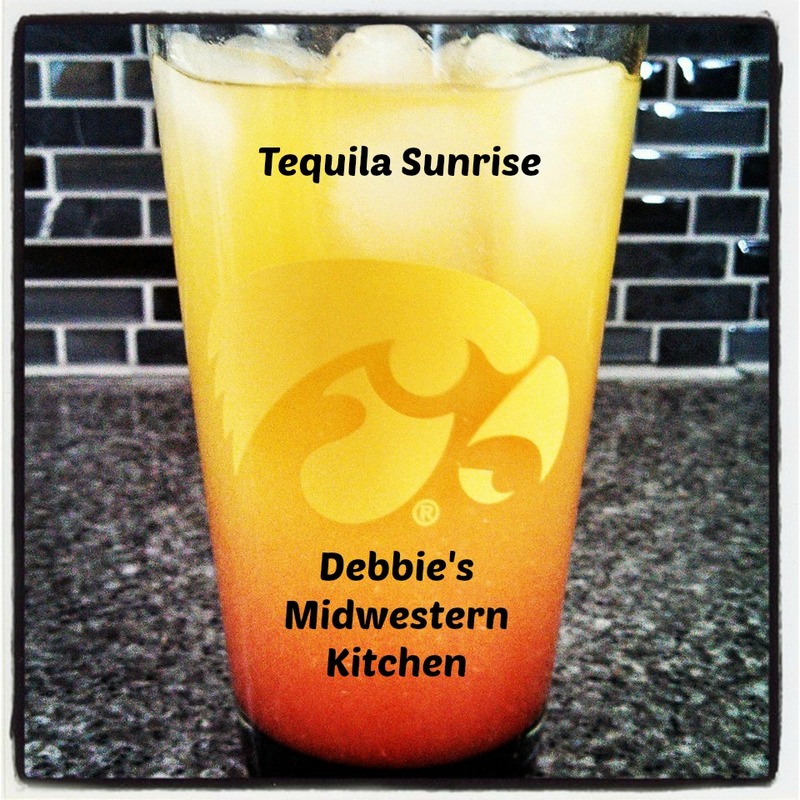 A few weeks ago Mike and I tried a new drink while watching the Iowa vs Michigan basketball game – Tequila Sunrise. 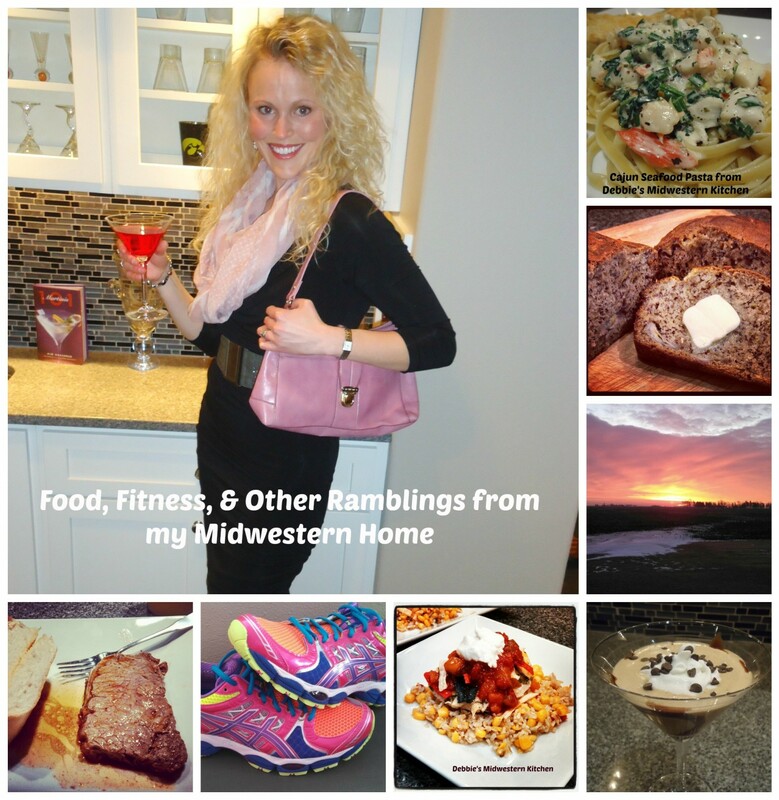 I had been inspired to give this well-known drink a try after coming up with the idea for an Orange-Kissed Margarita for our Super Bowl drink. I loved the way the flavors of the gold tequila and orange juice complimented each other and thought they might be good together without the margarita mix for something different sometime. That’s what led me to discover the Tequila Sunrise. 1 or 2 shots of Gold Tequila (depending on how strong you want your drink). Any brand is fine. I used Jose Cuervo. 1. Fill glass with ice. Pour desired amount of tequila in glass. 2. Pour orange juice in until there is about 1/2 inch left to rim of glass. Stir to combine. 3. Fill lid of grenadine bottle with grenadine and pour at edge of rim (so right along the inside) of glass. The grenadine should run down along the side of the glass to the bottom and settle there to make a beautiful drink resembling a sunrise on the beach. This has become my summer drink of 2014. 🙂 But it looks like summer is over ….can I still drink it?? Miss seeing you, Debbie. Hope all is well. I am glad all is well. I am sure it is an adjustment but those kids are so lucky to have you! We would love you to join us anytime for any of the blogger things going on—-fall birthday party coming up on the 25th if you are free!!! !